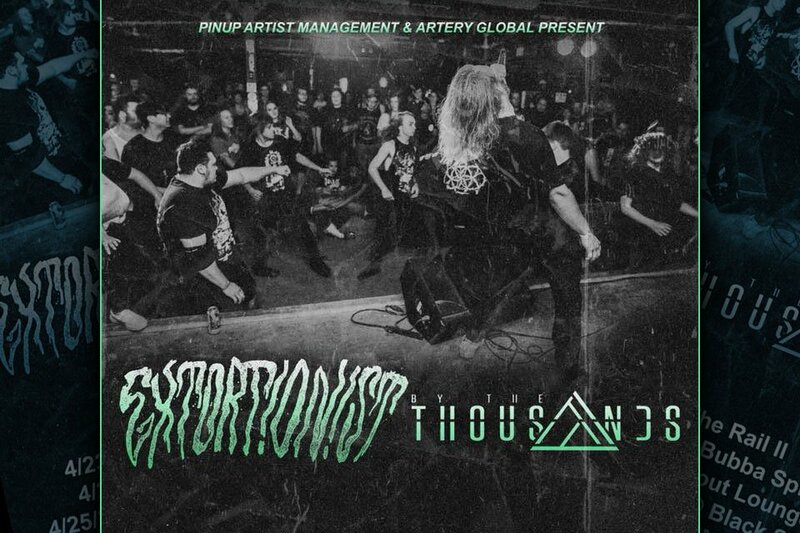 Extortionist and By The Thousands are going on tour next month. Your concert life just got better! | Badass Concert | Heavy Metal Music News | So METAL, we piss RUST! Extortionist and By The Thousands are going on tour next month. Your concert life just got better! Extortionist and By The Thousands are heading out on touring this April and there are quite a few Midwest stops, therefore, your life just received an upgrade! I’m pretty excited, these bands are top notch. These two bands both sound absolutely crushing and the vocals are full of aggression. However, while the chaos ensues, they somehow manage to bring amazing guitar melodies that pretty much awaken the gods. Extortionist is a five-piece progressive metal band originally from Idaho and has released a few albums and singles. You can explore their music library on Bandcamp or check out the music player at the bottom of this article. I haven’t seen Extortionist perform live yet, so if I’m in the area I’ll try and stop at one of their shows. Up next is a band that puts on a great live show, By The Thousands is a five-piece progressive metal band as well, hailing from the Twin Cities. Their brutal and melodic metal mix is f@#$ing sick. The guitar riffs just keep going and going. There is never a dull moment. One moment you might be enjoying an amazing melodic solo that just takes your ears away and then all of the sudden you’re slammed to the ground with heaviness. See for yourself, their albums are true masterpieces. Previous articleDrowning In The Platte and Violent Death Equipment are playing a gig in Columbus and it’s a FREE SHOW. Next articleDesecrate Ethereal just announced their upcoming “The Existence Is Suffering Tour”.